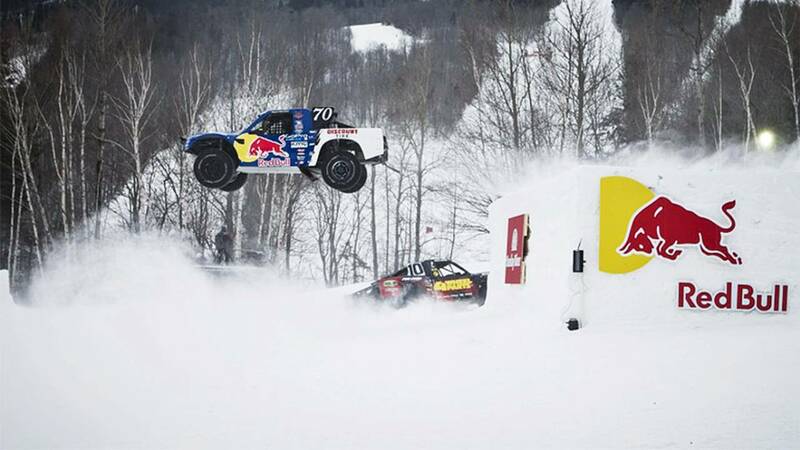 The Red Bull Frozen Rush 2014 brought eight Pro4 race trucks to Maine's Sunday River Resort battling the snow and slush on steep inclines and declines. 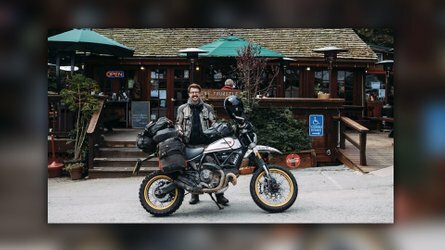 When life gives you a Polar Vortex, there's only one thing to do: Spin some wheels and get the snow dirty. 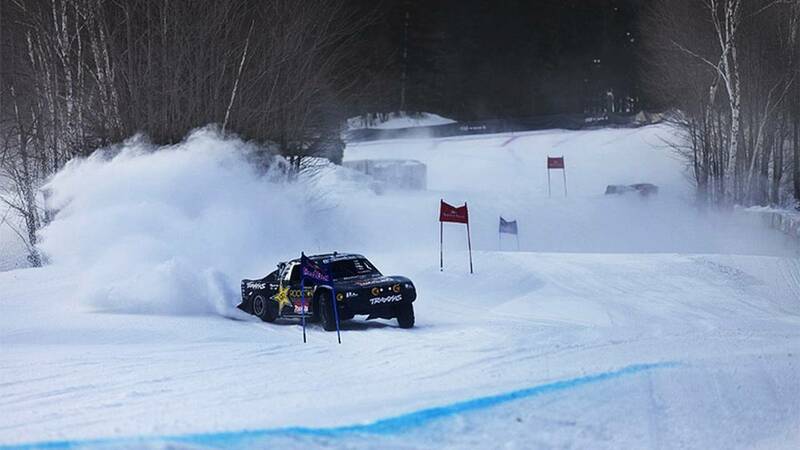 Red Bull's Frozen Rush 2014 brought eight Pro4 race trucks to Maine's Sunday River Resort on Friday, January 10th, battling the snow and slush on steep inclines and declines, instead of the usual dirt speedways where Pro4 races are found. 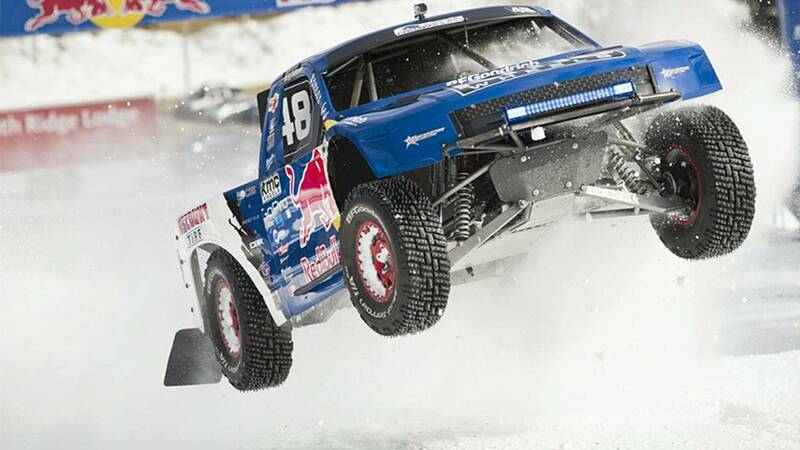 Pro4 race trucks are four-wheel drive full-size trucks that feature 700 - 900 hp engines and weigh a minimum of 4,000 lbs. 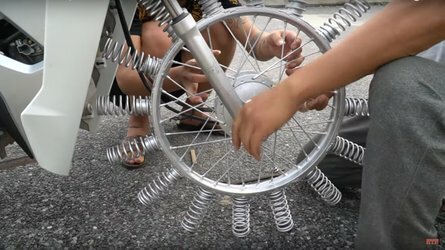 Current specs for the Pro4 circuit include an 18" front wheel travel limit, a 20" rear wheel travel limit, 113" minimum/122" maximum wheelbase and 93" maximum track width. Pro4 racing is high speed, high impact and high excitement − even more amplified on the snowy slopes. 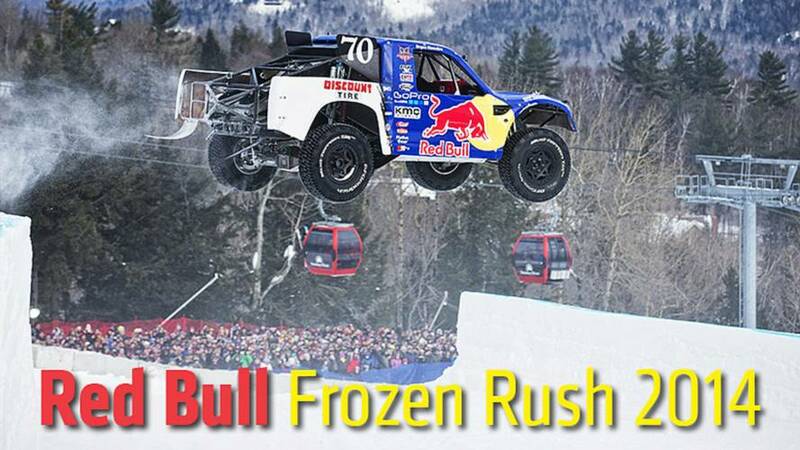 The race format for the Red Bull Frozen Rush was a head-to-head bracketed single elimination, with two drivers on the course at a time. 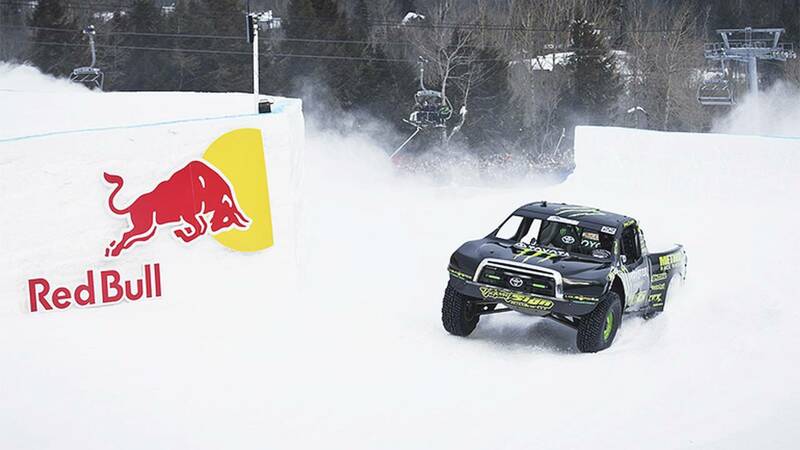 The Pro4 trucks careened and slid along trails, through slalom courses, over jumps and moguls. 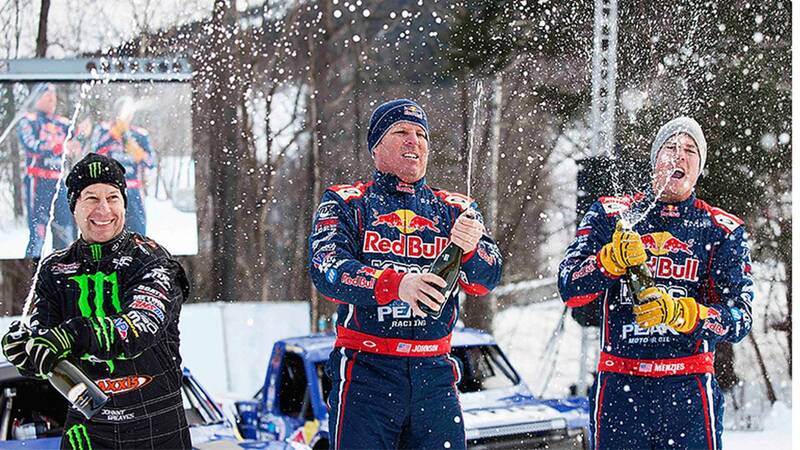 Eight pro drivers made the trip to Maine for some intense competition. The final heat was decided by a hair, with Ricky Johnson defeating rival Pro4 driver Johnny Greaves by just 0.24 seconds. The Winter Olympics at Sochi are coming up in a few months, but for motorheads, this noisy, messy blast of fun might just have eclipsed the quiet schussing of the skis and even the acrobatic fun of snowboarding. 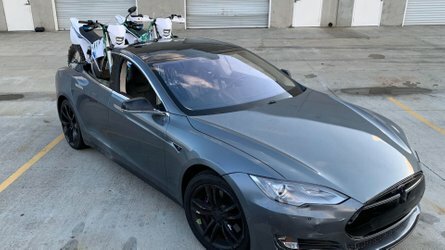 Nothing pumps up the volume like 900 horsepower wailing through the mountains.